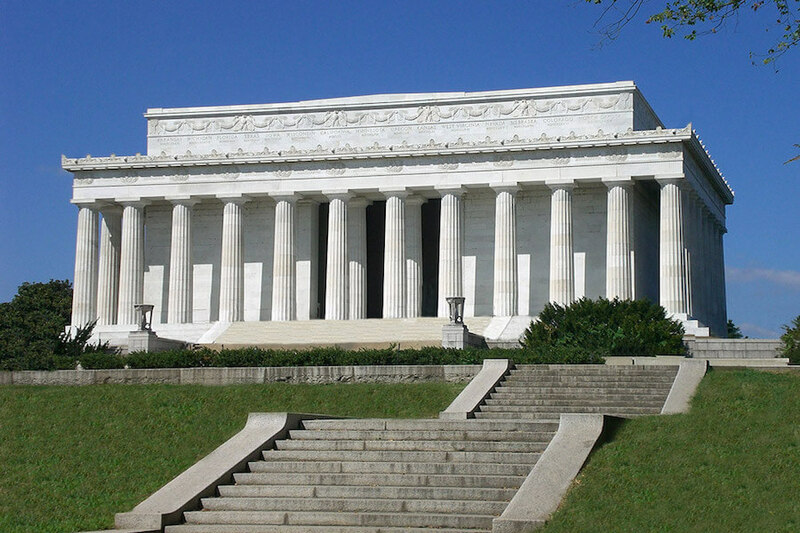 Pay homage to the 16th President of the United States, Abraham Lincoln, at the Lincoln Memorial. The memorial is located on the National Mall and stands tall above the Reflecting Pool. Hop up the 87 stairs to see the gigantic Lincoln Memorial and get breathtaking photos of the National Mall.